Dog Pick-Up Bags: Never be Without Doggie Doo Bags Again! When your faithful canine companion feels the call of nature, the EzyDog dog poop bag dispenser is there to help keep the planet – and hiking boots everywhere – clean! The Doo Bag attaches easily to any of our leashes, putting dog waste bags within reach wherever you and your pooch roam. The EzyDog Dog poop bag dispenser is full of options. 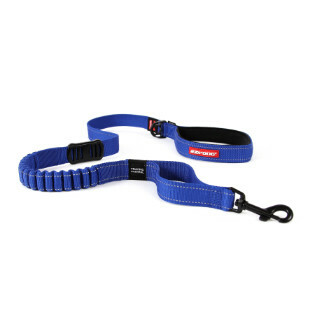 Clip or velcro it to a any of our dog leashes like the popular Cujo dog leash or hit the trail by attaching the carrier to a dog backpack. Stuff it full of whatever dog waste bags you like (for a green option, use recycled grocery sacks to help the planet). The EzyDog Doo Bag also boasts an extra pocket to hold a cell phone or anything else you take with you on your journeys. Available in black, and green camouflage, you can pick a Doo Bag that matches your style. When it comes to dog supplies, the EzyDog dog poop bag dispenser is a must. Don’t make your dog hang his head in shame – pick up after him! The Doo Bag integrates with EzyDog leashes, dog harnesses, and dog backpacks. But, best of all, because of its Velcro strap and sturdy clip, it attaches to anything, from a belt-loop to your water bottle. 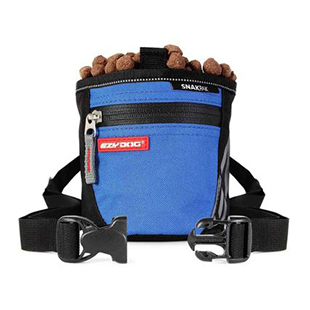 This hands free EzyDog Doo Bag is better than any dog pick-up bag on the market. Hook the EzyDog Doo Bag to your backpack and keep dog poop bags on hand! The pocket holds your cell phone and other items close. Doo Bag: Our featured dog pick-up bag, it does the job in a tiny and convenient package which attaches to almost anything!